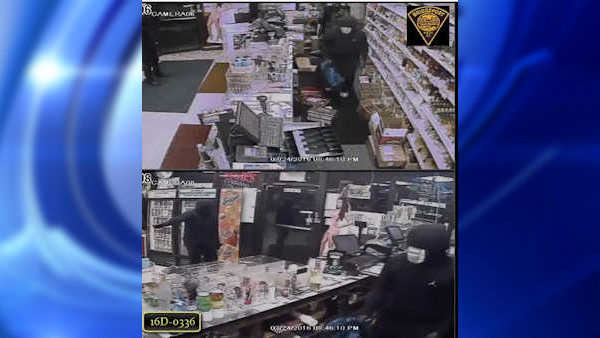 BRIDGEPORT, Connecticut (WABC) -- Police in Connecticut are searching for three men wanted in connection with the armed robbery of a liquor store. The robbery took place March 24th at about 8:40 p.m. at King Discount Liquors on Barnum Avenue in Bridgeport. Police released video of the men entering the store, jumping over the counter, opening the drawers and taking cash. Anyone with information is asked to contact Detective F. Delbouno at (203) 581-5201.